Turning over new leaves and all that stuff is great if you believe that your true nature can be changed. But, leopards rarely change their spots and Iranian spots are just as indelible as any others in the world. Rouhani is being hailed as the new pacifist, the guy we have to chat on the phone to about the traffic in New York. The most wanted man (in a good way) as Presidents clamber to get in on the act to chat and to be seen (that’s the most important thing) having a talk over the role of nuclear power in Iran and Iran’s new-found world, lying at its feet. But, the media of the world has a short memory or none at all. Rouhani is not so much the mild mannered guy of today as one of the active participants in the anti-Semitic bomb attack that took place in Buenos Aires in 1984, killing 85 people. Why Not Trust Rouhani and Iran? Hassan Rouhani is a wonderful marketing guru, the guy that will be a role-model for spin-doctors in years to come. The world has gobbled up the few words that he has pronounced as if Iran is the next manna from heaven. Why exactly? Especially sinceRouhani is a man to make even Attila the Hun wary and shy away. Rouhani has never stated ever that Iran will discuss the halting of uranium enrichment. Rouhani is vastly more intelligent than the slap-in-the-face Mahmoud Ahmadinejad. The latter’s brashness and angry vociferations made him an easy target for the international press. The diplomatic spheres held him at a distance, punishing him for his uncontrollable emotions. Rouhani is much more perspicacious. He is the image of the mild-mannered wise old man. But, that doesn’t make him any less radical. He is certainly no less Islamic. He is still an Islamic radical and always will be. He’s just better at marketing himself. Almost the entire Sunnite Muslim world hates Iran and wishes to bring it down. How else could the powers-that-be in Iran imagine their future except one that is protected by nuclear weapons? 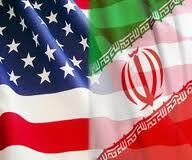 It will be the only answer possible to protect the Iranians against the arch rival and enemy of Israel. Nuclear weapons will be the only way to protect Iran from the infidels of Uncle Sam. The US administration might be stating that it has no intention of bringing down your regime, but who can believe anything the US President says these days? After all, why did the Iranian government decide to defend so openly and quickly the Syrian regime of Bachar-al-Assad? Simply because it knew that the US wouldn’t take the risk of attacking al-Assad. Now Rouhani has gained the unfailing defense of the Syrian leader for being one of the only few to have stood up and defended him in the face of the West. Nuclear weapons and nuclear power will only make the world sit up and listen to Iran. It will gain a place in the Middle East that will mean increased prosperity and economic wealth. We only ever listen to people that have voices. People only gain voices when they get military might to be reckoned with. Ali Khamenei the Supreme leader of Iran stated that nuclear weapons were anti-Islamic, but you don’t have to use them to show the world that you have them and that you might just do so. The West would never use nuclear weapons either. The five permanent members of the Security Council at the United Nations Organization know only too well that they have supreme power because they have nuclear weapons added to the right to veto. It doesn’t mean that any of them would actually use it. This is not the 1970s with nuclear-bomb touting threats being branded about. Iran would be out of its mind to not want the same power in the Middle East. Giving up on nuclear weapons would mean that the West had won over Iran. That’s impossible to imagine after decades of mutual hate and building political lives out of that relationship that doesn’t exist. How wonderful for a fifteen-minute conversation to wipe away the years of distance. How wonderful to believe and to be so naïve that the media reports on anecdotal stories of saying goodbye in each other’s languages. A generation or two of Iranians and Americans must be turning in their graves at such a collective show of bonhomie. Crippling economic sanctions for years have meant that the country is nothing more than a sorry old state of poverty-stricken people. That might just change if Rouhani pulls it off. He’s playing the West at its own game. He’s vaudeville supreme, an Iranian diva that will have Obama laughing at his jokes in no time at all. But, the custard will be on Obama’s face and the Western media’s. Inflation has sometimes reached 30%. It is currently at over 23.6% today. The Iranian currency (IRR) lost almost 70% of its value at its worst. In 2005, when Ahmadinejad took power, the exchange rate was 9, 000 Iranian Rials to the Dollar. In 2012 it was over 12, 200 Rials to the Dollar. Unemployment currently stands at 15.5% (2012) in a country which has a population of 75 million people (last census taken in 2011). It has a GDP of $483 billion. GDP is predicted to increase to $598 billion (2014) and $676 billion (2015). Between now and 2016 it is estimated that it will rocket by $308 billion in total and reach $779 billion. Health expenditure represents roughly 3.9% of GDP (since 2009). Education is roughly 4.7% of GDP (since 2009). It has a labor force of 27 million people and 25% of them work in agriculture. Approximately 20% of the population lives below the poverty line. But, there are those reasons that why Rouhani shouldn’t be trusted that are staring us all in the face and that the media is missing completely. These are the facts as to why Iran should be kept at a distance. But, it won’t be. Rouhani is already in line for chit-chat about how dreadful it is that the New York traffic was slowing his speedy flight to the airport. It’s no wonder that Rouhani mentioned it on his Twitter account. Does President Obama have one the time to chat aimlessly about traffic and whatever else passes through his mind on an average day and secondly does he call everyone to apologize that we are being held up and stuck in traffic every single day? It’s doubtful. Iran through Rouhani will gain access in his own right to nuclear weapons and to nuclear power by the back door or the front door. That will be with or without the Americans and the Western world. There is no other way for the country to get back on its feet. While it’s on its way to military protection it will pull the wool over the eyes of the western world and Iran will become a valuable ally of the West. The hate relationship will become a love-hate one until the West and Iran are intertwined and locked into a trade relationship that will mean getting on with each other. The only trouble is: the supreme west (! ), the ones with the eavesdropping informants at the NSA will not see any of this coming and they will be oblivious even when it slaps them in their faces. 1. Drone strikes and assassinations by the West (especially the US) against anyone deemed an "enemy" or "enemy combatant" including the women, men and children who have gone to help those hurt in the first attacks. 2. Iran has not started any war against another state in more than a century and a half but now they are supposedly looking to start a war in the middle east!?! 3. The Sunni vs Shia rivalry has been going on almost as long as the existence of Islam. I guess from your statement that we should be supporting the Sunnis (who if you were a bit clued in you would know is the the type of Islamists who are part of Al Qaida - which is why the idea of Saddam or Iran being tied into Al-Qaida and the September 11 attacks is so daft). 4. Again if you actually knew anything about the rivalries existing within Islam you would realise that Iran's support of Syria is part of the Sunni vs Shia rivalry. 5. Your arguments where you infer that Iran has nuclear arms are specious as even THE US INTELLIGENCES SERVICES STATE THAT NOT ONLY DOES IRAN NOT HAVE NUCLEAR WEAPONS THEY HAVE NOT EVEN DECIDE WHETHER TO HAVE NUCLEAR WEAPONS!!! 6. The economy of Iran has been severely hurt by sanctions. But that doesn't mean that they should capitulate to the West. All one needs to do is look at the example of two countries' leaders (Iraq and Libya) and see how well that worked out for them to know anyone with half a brain would not go down that route. Rouhani obviously is a bit wiser than yourself since he is obviously looking for a compromise that would ensure a level of Iranian independence, while giving assurances and guarantees about Iran's nuclear program that would allow for Iran to reintegrate it's economy within the wider world. What's interesting is that you asked people in the street in middle east or Israel about what they want, and the overwhelming answer is just to live in peace. It's only on a political level and in the narrow interest of certain groups tied to the defence and oil industry that this is given a high level of importance. All you're doing is feeding into a viewpoint that has neither basis in fact nor in reason.